Annet Gelink Gallery proudly presents its fourth solo exhibition of Kiki Lamers (b. 1964). Over the years Kiki Lamers caused a furore with her self-portraits and paintings of children. She is the winner of the Jordaan-Van Heek Prize 2010, a prize for Dutch painting presented by the Jordaan-Van Heek Foundation in cooperation with the Institut Néerlandais in Paris. As a result of this prize an exhibition of Kiki Lamers opened in 2009 at the Institut Néerlandais, which then moved to the Central Museum in Utrecht. To coincide, a new publication under the title Heads, with an essay by Rudi Fuchs and design by Gabriele Götz was produced. 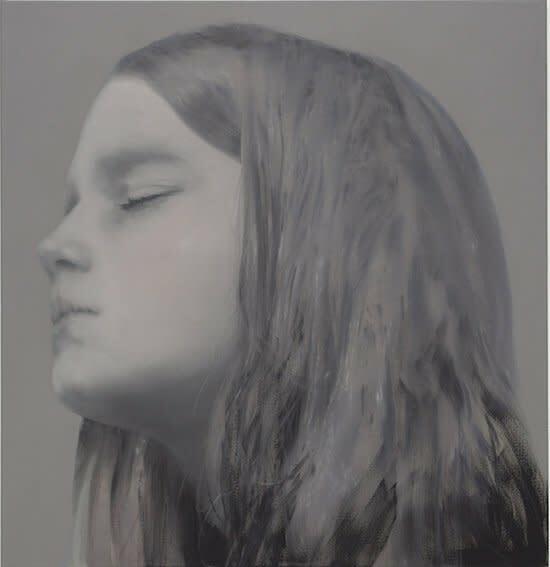 Annet Gelink Gallery is showing new paintings of Kiki Lamers. In her recent work again the skilful interpretation of the human face is manifest: the exhibition consists of portraits that fascinate in their directness. The spectator feels very close to the young persons portrayed. Contrary to her earlier work Kiki Lamers now only paints the head. A stare, a shadow across a cheek or a wave in the hair is transformed into the subject of the canvas. The paintings become more than portraits, they are modest studies of emotion and expression of the subject. Kiki Lamers creates her portraits on the basis of photographic studies. The one-to-one photo sessions result in series of paintings that almost seem a repetition but that entail slight and crucial differences: a head is hanging a bit more to the left, a look is a bit more distracted. Kiki Lamers is able to make the girls' vulnerability tangible, and evokes an atmosphere that both attracts the spectator and makes him uncomfortable. Kiki Lamers is able to lay down a universe in her paintings that cannot be captured in photographs. Just as Rudi Fuchs describes it in Heads: "We look at them, peer at them, straining our eyes like someone who, on hearing a nearly inaudible sound from afar, listens alertly for more." But then: "[...] but then I realize that the true gift of these paintings is their capacity to keep me looking at them."